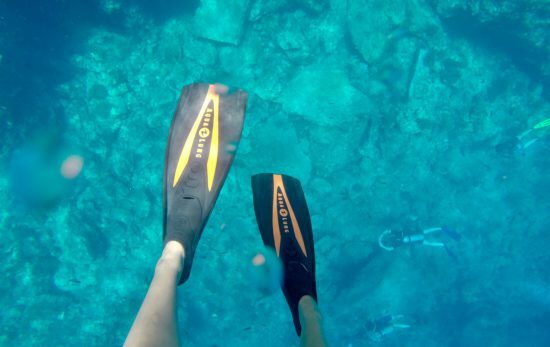 When Sine Sara first learnt to dive on her gap year, she never dreamed is would change her life like this. 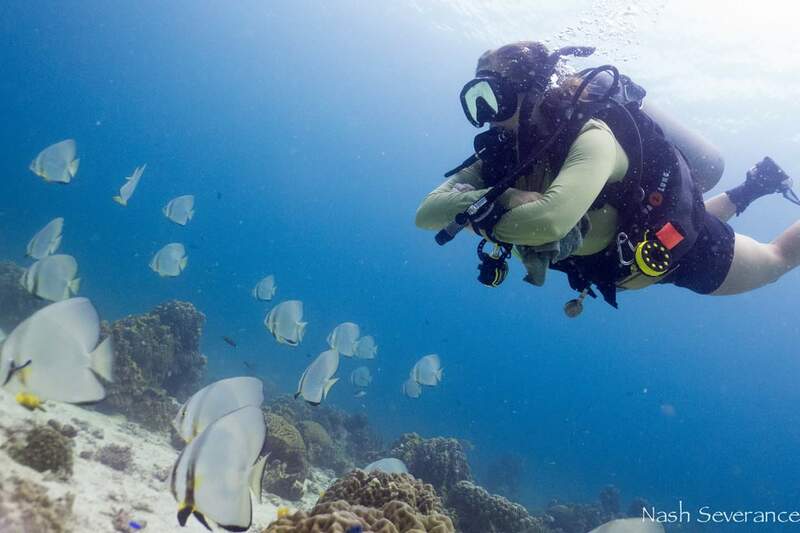 Three years later, Sine is a PADI Dive Instructor living out her dream in Thailand. I went on a gap year after finishing university in 2014, and my first stop was Thailand. I wanted to travel around South East Asia, and experience new culture and new adventures. I came to Koh Tao October 2014, and immediately fell in love with the island. The beautiful beaches, the relaxed and peaceful life, and the wonderful people were just what I had been dreaming about. I had prebooked my PADI Open Water Diver course, but didn’t have time to do any more diving since I already had a plane ticket to Myanmar. I left the Island feeling like I was making the wrong move and I knew I had to come back as soon as I had the opportunity. 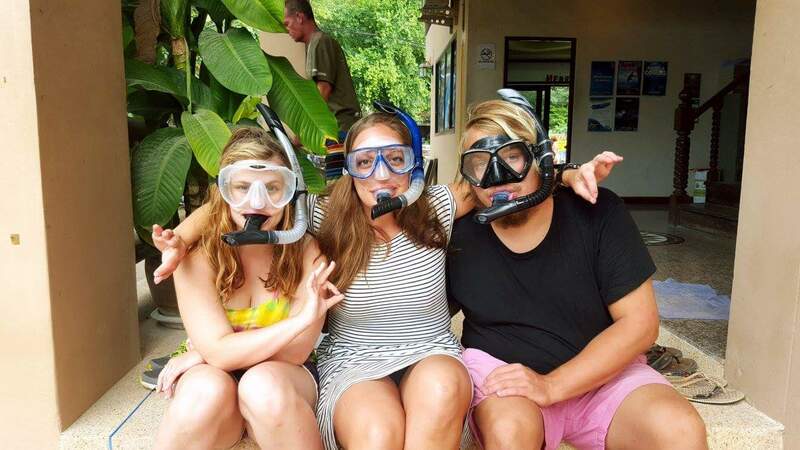 At first it was the amazing island life that drew me back, but after doing my PADI Advanced Open Water Diver course I fell in love with diving, and put all my other travelling plans on hold. It was those adventure dives that really opened my eyes to the fun of diving. I did my PADI Advanced certification in the beginning of December but I’d promised my mum I would be home for Christmas. Home (Norway) just felt dark and cold. All my friends were busy working and all I could think about was going back to Thailand and do more diving and hang out with my new friends. When I did my Advanced course, I had two guys assisting as part of their Divemaster training. 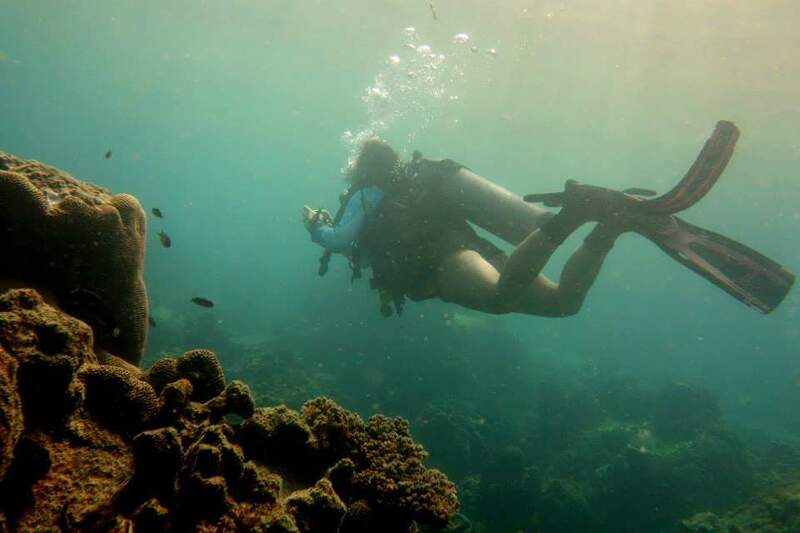 It sounded like so much fun, and I was drawn to the opportunity to meet more people, have more adventures in diving, and live on Koh Tao for a while. 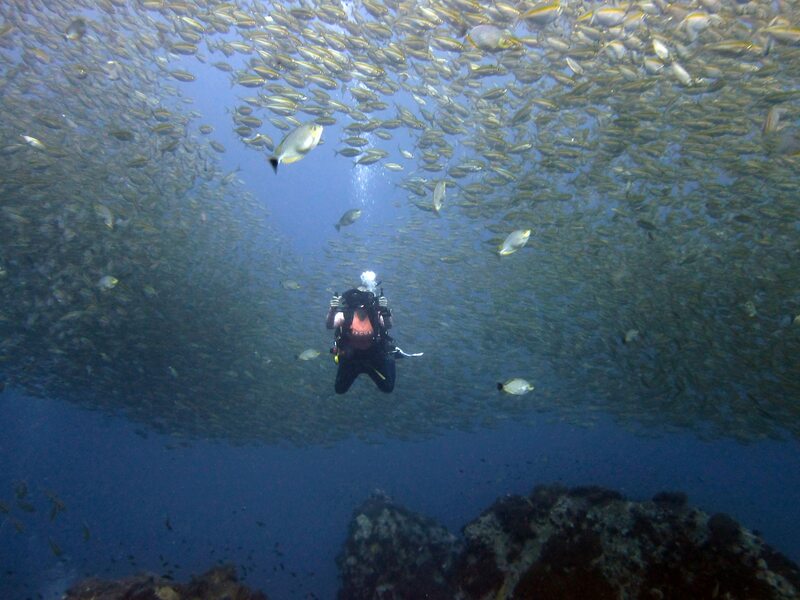 My time training to be a Divemaster candidate was amazing. I spend around three months finishing, mostly fun diving with my fellow Divemaster candidates, getting experience in navigating, working on my buoyancy, assisting on courses, participating on Eco dives doing coral transplantation, dive site clean-up and ‘Coral Watch’. 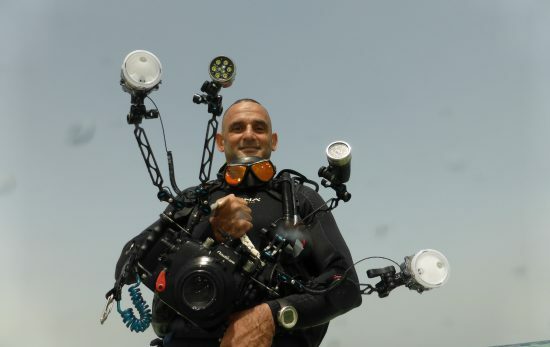 I loved diving, I loved living on an island, and I love meeting amazing adventurous people. During my training I had students come up to me and ask me questions about dive theory and sometimes had to go to the instructor to get help answering the questions. 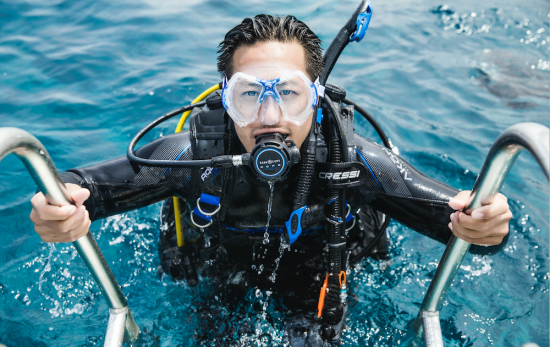 I felt there was more to learn, and I wanted to be able to answer the questions any student had so I could help more, and that’s when I started considering going further with my diving and training to be a PADI Open Water Scuba Instructor. 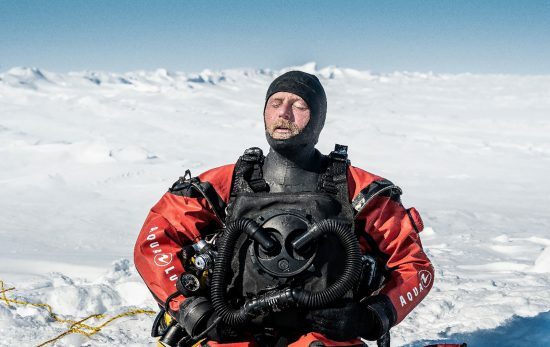 How is life being a dive instructor? Life right now is amazing. Every morning I start the day having breakfast at a nearby cafe and getting some lunch to go. 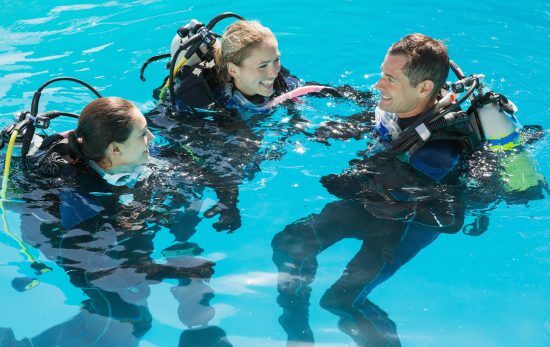 Then I head down to Crystal Dive were I start preparing for the course I am doing that day. That could be getting the gear ready, memorising student names, helping other staff with their duties. When my students arrive that is when the real fun starts. You meet all kinds of people and sometimes you have to adjust your teaching and personality style towards whom you are teaching. Some students are overconfident, some are unnecessarily nervous, some are not paying attention, while others are born to dive. Getting to know a lot of people and guiding them through the course and helping them become divers are my main motivation as an instructor. It is rewarding seeing their progress and to see how fear becomes excitement. Life as an instructor is good, and every day I learn something new which makes being an instructor exciting! I love the beauty of the underwater aquatic life, the silence, and the adventure. Living on a tropical island has its advantages. The island are surrounded by corals and fishes in all sorts of different colours and patterns, and when the visibility is at its best you can see at least 30 meters clear water in front of you. I love being under water exploring the aquatic life, spotting new details, or discovering something I haven’t seen before. The silence under water makes me feel really relaxed and peaceful, and getting away from the city life and noise has been so good. When you stay at the same spot for a long time you can also see some changes in the underwater environment, not always for the better. When I have days off I love to join the Eco team and do beach and dive site clean up, cleaning artificial coral structures, and doing coral monitoring. It makes you feel so good actually participating in something that is so important for the Environment while at the same time being under water. 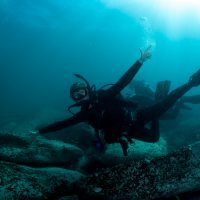 Interested in becoming a PADI Open Water Scuba Instructor like Sine? Read more about the course here.